With Kids, We Go...: Seoul Day 3: Preview of the New Children's Space at Seoul Grand Park, "Avion"
Seoul Day 3: Preview of the New Children's Space at Seoul Grand Park, "Avion"
Nope it wasn't planned! We're back in Seoul for the week long school holidays with family and today's itinerary read 'Seoul Land' (http://eng.seoulland.co.kr/) all over it. Uncle whips up a lean soup with traditional skewered fish cake to warm up on a cold morning. Closed thanks to bird flu! Oh no... what do we do now? The children were oblivious to the fact that our plans were thwarted and enjoyed racing up and down the open spaces while the parents figured out what to do. Just then, we spotted some men putting up a banner advertising the new children's playground. We asked them if it was indeed open and they confirmed that it was. Even upon arrival, we took a good amount of time trying to figure out how to get it in! The main entrance wasn't even opened to the public yet. Ticketing booth was located inside the building, Walk into the mini art gallery and ticketing counter is on the right. When the adults scouted the place and figured it would be a good substitute for the great outdoors, we bought our tickets and planted ourselves right outside a cafe while some of the dads took the kids to explore the play areas. Shoes had to be stowed away in lockers... 2 pairs in each locker. A small cafe on the ground floor selling cup noodles, drinks and simple snacks. The first room we explored was creatively designed with padded floors and walls that allowed kids to have fun with Velcro 'noodles'. Every hour, there would be announcements calling children to participate in organized activities and shows. 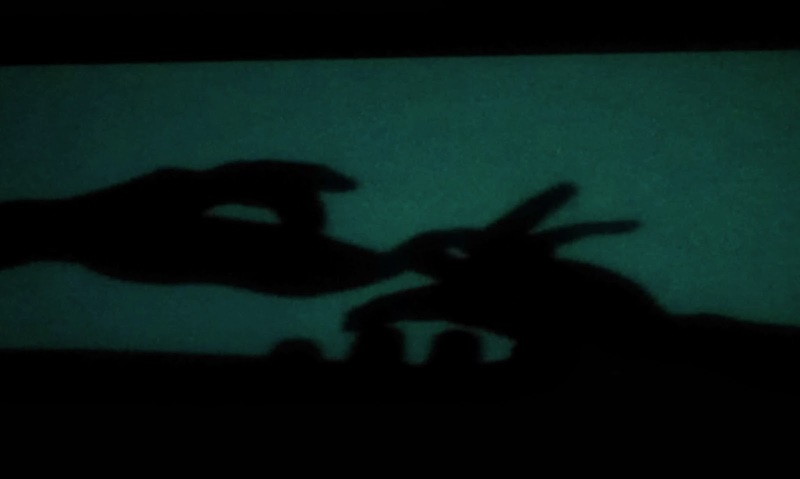 This time, we caught a shadow theatre, and after the show, kids had a chance to participate by playing with cut-out props to make their own shadow plays. Just outside the shadow theatre was the hippest wall to wall ball-pool I've ever seen, complete with padded climbing walls. The kids exiting from the theatre enjoyed bumping around in here for a while. ... and individual work stations to exercise your creativity. The following hour, there was an announcement calling for interested kids to join in an art session scratching drawings into a prepared crayon board to make interesting designs. The kids participated in the session on their own without understanding a single Korean word the instructor was saying, and still had fun and a nice drawing to take home. The building is 3 floors high, and it took quite a while before the kids had enough of the first floor and proceeded to the second floor, where they were further 'wow'ed by a full scale play ground an indoor obstacle climbing course, soap bubble play area, wood-chip 'sand' pit, make believe camping ground and amphitheatre blaring cartoons. Really a feast for the senses, and in a way too much for my grown-up abilities. However, it was a holiday, and the kids were in full gear without need for refueling. We sent some parents out to buy back a late lunch (the hosts were understanding enough to make an exception for us as they understood that their cafes were not yet in full operation) while the kids continued their exploration. Play campsite... note a tired daddy knocked out in one of the tents! Slippers are provided for toilets. A cozy and strategic corner from which parents can monitor the play area while chilling out over a cuppa. You'll be happy to note that you're entitled to free WiFi usage anywhere in the park. You can make really big bubbles here. The floor gets a little soapy so slippers are provided. The ladies at the soap shop will conduct a free soap making session for one child per family. Coupons for this activity are available at the ground floor entrance. Boys will be boys... hence the cars! A corner for the 'very young'. Finally, lunch arrives in the form of traditional black bean noodles, rice noodle soups, and traditional pancakes, which are quickly divided and conquered at the ground floor sitting area. After lunch, we'd purchase enough tickets for an adult to accompany four children to the third floor for the 'Amazing Bugs' exhibition. It wasn't initially clear what the main theme of the exhibition was as there were large sized dinosaur robots, miniature animal displays, insect and reptile tanks, butterfly collections, a massive ball-pool, a mock up paleontology dig, and a place for kids to imprint their own 'fossils'into clay... what a mix! Nevertheless, it was mighty interesting! In keeping with the dino theme, many of these terrariums housed reptiles such as lizards and snakes. There's an exhibit explaining the life-cycle of rhinoceros beetles, complete with living specimens of larvae, pupae,... and even mating beetles! Can you spot the creepy crawly tarantula? The area is officially opened on 6 April. More information on this playground can be found on its official website (http://www.avion.co.kr/). Exit at Seoul Grand Park (Line 4) Exit 2. Go up the escalator and walk all the way straight till you see the Information Center. The Information Center is also where you can buy tickets to the Zoo and Seoul Land. Turn right, walk straight towards the SkyLift and Avion is just behind it.